Wowwwww!! I never thought about hand embroidering your own patches....that is just great. I'd been thinking, I'd really like to have my own version of a girl scout sash, but where would I find relevant, cool patches? Now I know I can make them! I really *really* love his work! 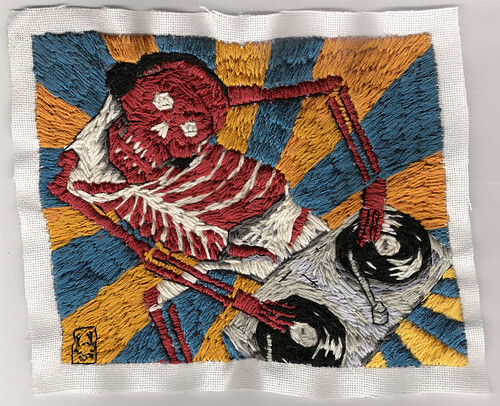 Ooooh my goodness, that is some badass embroidery! I love the way the stitches look like broad brush-strokes - just amazing! My son would love that sewn on his jacket! Super Kool!